Investous even new platform has already established a solid reputation as a portal that's built around the evolving needs of its members. It provides a smooth simple and streamlined interface that supports intelligent and intuitive trading, with a wide range of popular assets, superb educational tools and responsive customer service. Please note that all information regarding the Investous brand and its products and services is correct at the time of publication. Please check the official website for the latest updates and information. 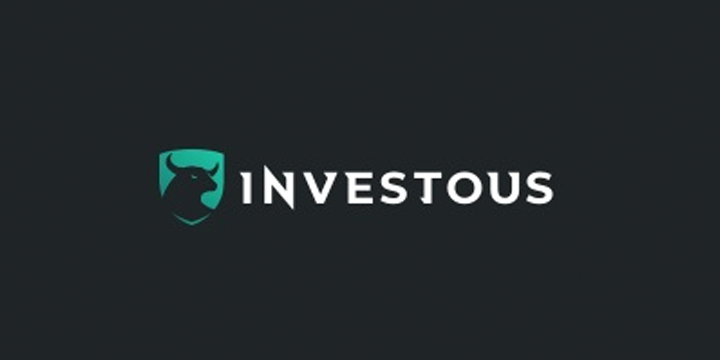 Investous is one of the newest exchanges to allow financial investors to trade the value of leading cryptocurrency assets. The platform offers more than 270 different assets that can be traded from both its web-based trading platforms and Investous’ mobile app. Investous is owned and operated by F1Markets Ltd, a Cypriot investment firm, which means that the Investous exchange is regulated and authorised by the Cyprus Securities and Exchange Commission (CySEC). We’ll go into more detail about what that means for you later in this review. Given that Investous is regulated by the CySEC, the exchange can be offered to all financial traders living in Europe, as well as a number of countries further afield. The platform only launched in December 2018 and as a very new kid on the trading exchange block, it is working hard to ensure that client service and dependable, secure technology is at the core of its operations. This is a new contracts-for-difference (CFD) type of broker where you can trade the price of underlying crypto assets such as Bitcoin. Let’s take a look at how many cryptocurrencies Investous makes available to its clients to trade. There are two ways to trade these digital coins. You can buy the value of the cryptos using a standard CFD contract, with one lot equal to 100 of the asset in question. Alternatively, beginner crypto traders can trade mini CFD contracts with lots to the value of one crypto asset in question. Even if you aren’t a member of the Investous cryptocurrency exchange, it is possible to view the Investous trading graphs for all of the cryptocurrency pairs available to trade. The candlestick graphs update by the minute, with the Buy and Sell price also visible. The list of cryptocurrency pairs available to trade also demonstrates the percentage change in the price of that pair, to help pinpoint moving markets. Given that Investous has only been live for a matter of weeks, it is good to see that nine of the leading cryptocurrencies have already been made available to trade. This should give crypto traders confidence that Investous will look to make more crypto pairs available to trade in the coming months – although learning how to trade Bitcoin and other highly volatile cryptos should keep you busy for the meantime. Besides cryptocurrencies, Investous also offers 46 forex pairs to trade as well as several assets like gold, oil and silver and commodities such as copper, coffee and wheat. How secure is Investous Cryptocurrency Exchange? If you are worried that Investous is a scam cryptocurrency broker, you needn’t worry. As we’ve already touched upon, Investous is authorised and regulated to operate in the EU by CySEC, the financial regulatory authority of Cyprus. As Cyprus is an EU member state, its financial regulations and compliance laws operate in accordance with the European MiFID financial harmonisation law. This should give crypto traders confidence that Investous is doing everything by the book. Having at least €750,000 in operating capital stored in their accounts to act as a buffer for client funds. Filing regular financial statements and keeping regulators informed of any company changes. Pooling customer funds into an investment compensation fund, paying out to investors in the event of the broker’s collapse. The Investor Compensation Fund (ICF) protects losses of individual traders up to a maximum of €20,000. It is worth noting that Investous is also regulated by the International Financial Services Commission (IFSC) of Belize. Several leading CFD brokers have sought to obtain their international trading license from the IFSC in Belize. In terms of broker fees, Investous doesn’t charge a commission on the lots their clients purchase, but they do operate floating spreads for all available assets. The spread on Bitcoin is very large (7,200 points) in comparison with more conventional trading assets, which may put some people off investing here. No fees are charged for depositing funds into an Investous account, but Investous does charge a flat rate of £35 for wire transfer withdrawals, 3.5% for credit card withdrawals and a 2% withdrawal fee for electronic accounts. Let’s take a closer look at the security and protection offered to Investous clients when depositing funds and trading the price of cryptocurrencies on their trading platform. You’ll be pleased to note that comprehensive SSL encryption is offered for the entire platform. This means that all information clients share with Investous, such as age verification documents and bank details, are securely encrypted away from the prying eyes of cybercriminals. How user-friendly is Investous? Are mobile apps/APIs available? If you are new to CFD trading, it may be beneficial to choose a broker that offers a demo account before investing your cash. Investous offers demo accounts and these can be applied for by providing your name, email address and contact telephone number. If you have enough experienced to open a live trading account from the word go, you will have to choose between the four available live account types for Investous clients: Basic, Silver, Gold and Platinum. Each of these offers different benefits and extras, with Platinum being the most comprehensive. Which account suits you best is entirely up to you. The Basic accounts are generally targeted towards newcomers, while Platinum accounts are aimed at highly-experienced, high-volume CFD traders. If you want a cryptocurrency exchange that is responsive and transparent, you’ll be pleased to know there are several ways to contact Investous’ customer support department. It offers a 24/7 live chat option with chat agents employed to handle most account and trading-related enquiries. You can also complete the on-site contact form to file your queries. If you prefer talking to someone over the telephone, you can directly call the Investous customer service department in Cyprus during office hours on +357 2526 2513. On the face of it, the Investous cryptocurrency exchange looks like a very appealing CFD cryptocurrency broker. It has a slick, responsive website and is fully regulated both in the EU and beyond, protecting clients’ investments. Although it supports MetaTrader4, the platform’s own order functionality appears somewhat basic, with no functionality surrounding order life or advanced stops, which could turn off advanced traders. Furthermore, cryptocurrency traders will also struggle to cope with the exorbitant spreads placed on all available crypto pairs. Until these spreads are cut down, we think Investous will struggle to attract sufficient support from the cryptocurrency community. How do you know if your funds are safe in an Investous account? Investous has invested heavily in data encryption, firewalls and state-of-the-art security systems to protect client funds and sensitive data. The platform is encrypted by Thawte and ClickSSL protocols to guard against cyberattacks and data breaches such as distributed denial of service (DDoS) attacks. What proof of identity is needed to verify an Investous account? Investous operates strict age and identity verification measures to comply with global Anti Money Laundering (AML) and Know Your Customer (KYC) regulations. You will need to supply an official government-issued ID, a proof of address and an image of the front and back of the card you’re using to deposit trading funds. What is the minimum and maximum amount for deposits and withdrawals? The minimum amount needed to deposit into a basic Investous trading account using the available payment methods is £250. The maximum daily deposit is £10,000. Meanwhile, the maximum monthly deposits into an Investous trading account is £40,000. Which fiat currencies are supported by Investous? How do you find out if deposits or withdrawals to/from Investous accounts are processed? Investous clients can visit the Banking page within their account and review all pending requests to see whether a deposit or withdrawal is still pending. Get in touch with customer service if you don’t see yours listed.